New York Wines, Wineries and Wine Making History of New York offers a detailed look at the growing popularity of the red and white wines produced in New York state with a focus on the wine from the AVA’s of Long Island, Finger Lakes region, Lake Erie and the Hudson River region. The history, terroir, wines and laws of the region, as well as wine making, wineries and styles of wine being produced in New York state are discussed in detail on this page. 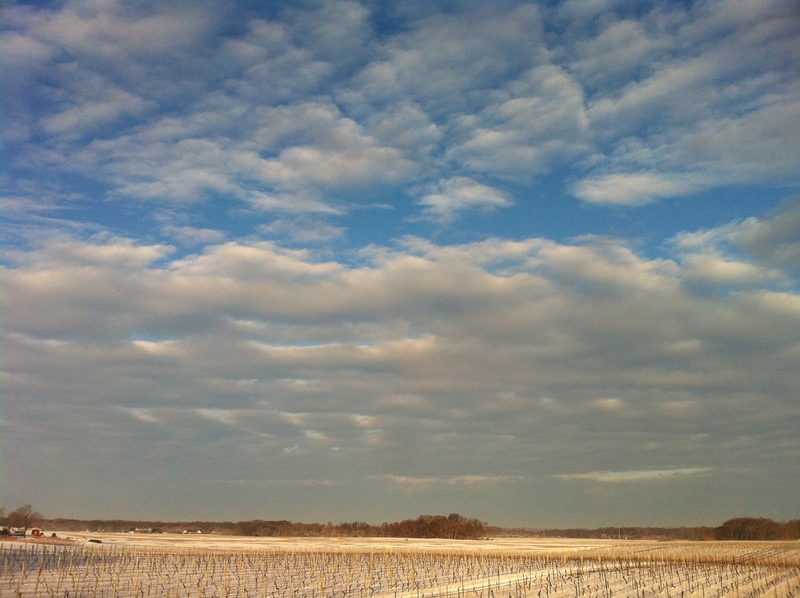 In this article, numerous questions on New York wines will arise. For example, what is it like to grow grapes on Long Island? How is the weather, the soil? Is there disease pressure? How are New York wines? What do they compare to? What varieties do well? What is Long Island known for? What is the future for this industry? Why are its wines expensive? Is agritourism compatible with the image of a serious wine region? How do Long Island wines compare to other New York wines or East Coast wines? It is now 38 years since commercial grape growing has started on Long Island, NY. It is still a young region. It has already produced some impressive wines. Its wineries, although not yet household names, are selling out of their wines briskly. This idyllic region at the East End of Long Island, NY, is variously described as the Playground of New York or the Riviera of the North East. 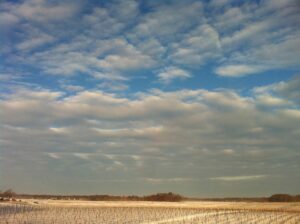 That certainly has helped shine the visibility on what is still a relatively small viticultural area. And, not unlike any other successful wine region, Long Island has its detractors as well. The New York Farm Winery Act of 1976, which became the model for similar laws passed by many other states, has been said to be responsible for the rapid growth of of many New York wines and new wineries across the state. This was also the case on Long Island. The evolution of the legal framework now allows for a variety of winery templates to exist. It used to be that to start a winery, first a vineyard had to be planted. Then, when vines matured and harvests yielded enough, the winery building will hopefully have been built and equipped for that first crush. And several months later wine became available for sale,usually in a small tasting room at the estate, then wholesale to local restaurants and wine stores. This would be an estate winery to contrast it from several variations that have sprung, as the law changed, such as the following example: Today it is possible to purchase fruit, take it to a custom crush facility and then set up a sales outlet and, for practical purposes, a new winery is born. No investments are needed in a vineyard or winery building and equipment. Just a license, a checkbook and a desire to bottle, label and sell wine.This is similar to a negociant model. Between these 2 extremes there are other permutations. 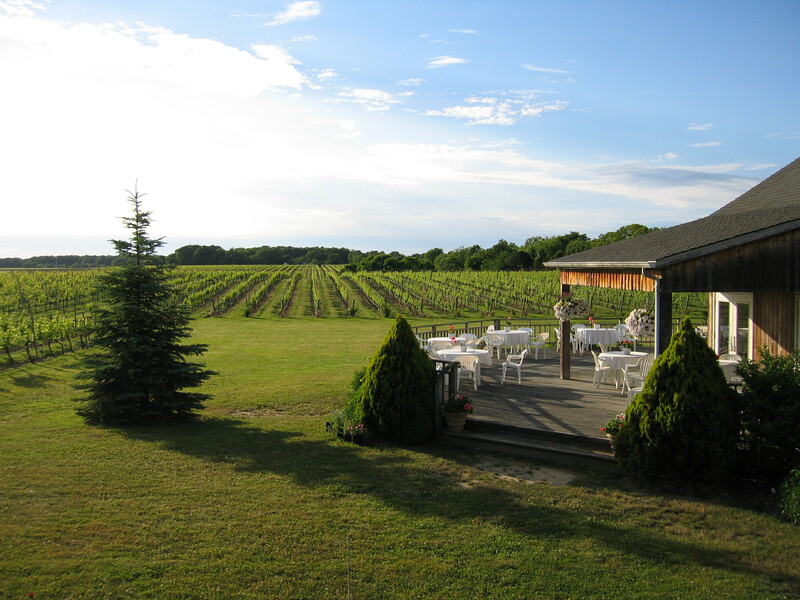 Today there are about 25 estate wineries and a grand total of about 55 wine producers of all kinds on the East End of Long Island. And it is rising. Good wines are made by all categories of producers, regardless of what model they adopted. When our first group of enthusiastic entrepreneurs, or adventurers perhaps, came here and planted the original vineyards, what we had in common was that we all liked to drink good wines. In my case my colleagues at IBM now remind me that they used to gossip about me saying “Charles went crazy, he is planting a vineyard”. I reassure them that I felt the same way about myself at that time. I suspect most of my fellow vintners would tell of similar stories. None of this first wave of grape growers was from a farming background. We all planted varieties that we liked to drink and all sorts of training systems were used, depending on who was giving us advise. Some vineyards were trained on a high cordon, producing a curtain to the sides. This model is prevalent upstate New York in Concord production and many relied on advice from Cornell University who at the time was not yet paying attention to vitis vinifera. In our case we listened to my wife’s uncle Werner, who was a grape grower in the Pfalz in Germany. We planted our initial blocks of Chardonnay and Riesling using 8.5 feet rows with 4 feet between the vines. We could not go to narrower rows as there were no narrow vineyard tractors available in those days. And as it turned out the rest of my colleagues were not too confident either. Soon we realized that with everyone doing something different, we needed to sort things out to gain a better understanding of what we really wanted to do. That materialized in the Cool Climate Symposium that our group organized in 1986. We had invited 7 people from the Bordeaux region to come and see what we were doing in the vineyards and in the cellar, to test our wines and to share with us what they do and what we might learn from them. One of the participants was Professeur Gérard Seguin, a professor of soil science at the University of Bordeaux. On the agenda of the Symposium we had a climatologist talk about the weather pattern on Long Island and a geologist who informed us that we had a large glacier in our past. The East End of Long Island forks out in a fish tail past the town of Riverhead into what is known today as the North Fork to the north, and the South Fork or the Hamptons to the South. The South Fork is a moraine that was deposited apparently over a million years ago. The North Fork, and from here to Cape Cod and all the islands in between, such as Nantucket, Martha’s Vineyard, Block Island, Plum Island etc.. are part of a much younger moraine that was deposited about 130,000 years ago, they say. That was quite interesting of course. But we did not yet know whether it had any significance for our young vines. On the second day of the symposium, we gathered next to a row of vines in Cutchogue where a back hoe had dug a trench about 6 feet deep and about 7 feet away from a row of vines. I, and perhaps most of my colleagues, had never seen such a deep cut. There was to be sure a lot of sand in the subsoil and several of us felt that this might not look good to our illustrious guests. But we were brave enough to leave it open for Professeur Seguin to come and inspect it. So he jumped right into it. And he started explaining to us how the various stratification were layered by the ebbs and flows of the glacier over the thousands of years, as it was retreating. At the top we had a layer of about a foot of top soil that consisted of sandy loam. Below it was a layer of sand of about 18 inches and then there was a half a foot layer of pebbles. Strange to find them there. But, we were told, these were rocks that were polished into egg shapes by the backwash of the glacier over tens of thousands of years. Below that was more sand. Mr. Seguin’s presentation took about twenty minutes. It included him showing us a root at below 6 feet which he called a feeder root, coming probably from the vine in the adjacent row. In conclusion he said, “this reminds me a lot of the soil of the Graves. These soils drain very well and do not hold water. Given your potential for rain in the summer this is a necessary feature for successful grape growing”. We stood a little taller at the conclusion of this presentation. Over the years we have had ample opportunities to find that same soil composition all over the North Fork. We did not replicate that examination on the South Fork. However it is well known that the soil there is different and heavier and therefore can hold more water. Another of the participants was Dr. Alain Carbonneau, professor of Viticulture at the University of Montpellier. Thank God he validated uncle Werner’s advice but he also went further and explained to us all the intricacies of a training system. We learned the benefits of shoot positioning and shoot thinning, the proper way of pruning and we became aware of the necessity to observe and learn from our own environment and adapt to our own conditions. We learned how leaves that are exposed to sunlight produce sugar, whereas those are shaded shut down. We learned, since a vine is capable of producing a finite amount of flavor, how to produce better wines through managing the crop load on a vine. 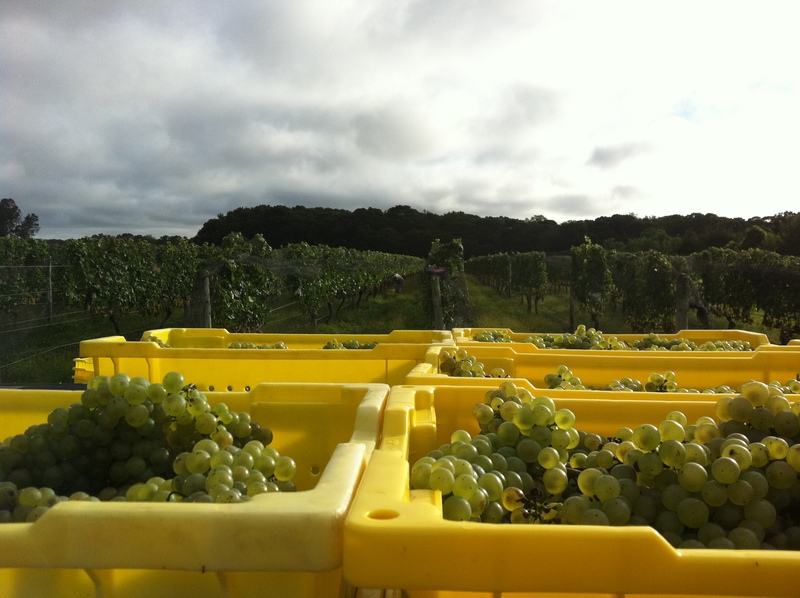 The Cool Climate Symposium was in retrospect a quantum leap for grape growing on Long Island. It coincided a few years later with Cornell finally waking up to treat Vitis Vinifera as a major potential for viticulture in New York state. Thereafter there was greater harmony in how vineyards were managed and today narrow rows and denser planting have become the norm. Cornell has a significant grape growing and wine making curriculum and Vitis Vinifera is the focus of much of it, even though there are by far larger Concord plantings, used in Grape juice. We get a lot of assistance from Cornell through the Cooperative Extension program. One of the services provided was the daily publishing of growing degree-day statistics. Through that we were able to understand ours is a cool climate region. We gather on average about 3000 growing degree days by September 30. So if our soil was compared to that of the Graves, which was left by retreating glaciers from the Pyrénées, and if Bordeaux ( which after all means waters edge from ” bord d’eaux “) is also surrounded by the Atlantic to the west and the estuary that is the Gironde to the North, how does our weather compare? Well it is well known that it can rain in the Summer in Bordeaux and that is why they like well drained soils. It is said that mother nature created the vine for an arid weather which is why the vine is so efficient at using up soil moisture. And to control the vigor a well drained soil guarantees that the roots will not be sitting in water. “Vines do not like wet feet”. Some of the other lesser varieties today include: Petit Verdot, Malbec, Carmenere, Viognier, Syrah, Pinot noir, Pinot Blanc, Pinot Gris, Pinot Meunier, Gewurtztraminer, Chenin Blanc, Albarino, Grüner Veltliner, and more. As indicated earlier the diversity was the result on the one hand of what individuals preferred but perhaps more so because of the uncertainty as to what would grow successfully. So there was a lot of unorganized experimentation which has gifted us this amazing diversity. Of course this diversity would be a weakness if many of these varieties did not feel at home here. Thankfully it is possible to taste excellent wines made from these different varieties, such that it has earned them their survival: our consumers seem to support this with their dollars as no one is ripping up any varieties. On the contrary it seems every year someone plants yet a new variety. That seems to match a new generation of wine consumers who are curious and are seeking diversity. Of course this is at odds with the more established “wine professionals” who advocate that a wine region must dedicate itself to a few varieties. Bordeaux has done well with at least 10 varieties so since this is the New World taking it further may be appropriate. Yet some have succumbed to the temptation that Long Island must be identified with a particular variety. The idea would perhaps have had a little more merit if it was not for the fact that the promoters were largely planted with that variety. While I dwell on the similarities with a well-known place like Bordeaux, this is not about Bordeaux, Rhone Valley wines or vineyards in California. Every wine region is unique and to be successful we must tune into our own environment, observe, experiment and learn. In the old world Vitis Vinifera did not have to struggle with phylloxera. It is well known that European vineyards were decimated in the 1860 when this pest was introduced, imported from the Americas on he roots of Vitis Labrusca, the native American vine. It is believed that along with that insect the plants carried also the mildews that we call downy mildew and powdery mildew. Vitis Vinifera evolved in an environment where all three pests were absent and was not equipped to combat either. Even though we have sandy soils and there is some belief that phylloxera will not bloom in such soils, nevertheless almost all vines planted here are grafted on resistant rootstock. That removes this exposure. However this is an island. In the Summer time the prevailing wind is from the South, from the warmed Atlantic Ocean. Our weather is humid and if not careful, mildew can get out of control and devour the vines. On a humid night, if a row of vines is shaken, water will readily drip from them. At the prevailing temperature and in conditions of leaf wetness, we learned, downy mildew will develop. The shortest infection period is around 70F when leaves are wet: it takes around 6 hours for the fungus to sporulate. We learned that one way to prevent the infection of the fruit is to strip the leaves in the fruit zone at fruit set. Doing so increases the ventilation, reduces the temperature and dries up the fruit. Thereby the latent infection will now abort. Several years ago a study was published showing, what we were already experiencing, that when the leaves are stripped in the fruit zone at fruit set, the UV light from the sun will suppress that second mildew, the powdery mildew. And so it is not surprising to see vineyard workers enthusiastically stripping the first 6 leaves of every shoot on both sides of the canopy. If this was California people would think we are taking chances with sun burn. But remember this is a cool climate region. Infact the exposure to the sun makes for better tasting fruit. A cluster of white grapes that grows in the shade will look green whereas a cluster exposed to sunlight will turn golden. When grapes are harvested the golden cluster has much nicer flavors than a green looking cluster, even though the analysis may be similar. And I yet have to see sunburned grapes. They say Cabernet Sauvignon and Sauvignon Blanc are both mutations from Cabernet Franc. As close relatives they share in common the presence of different metoxypyrazines in the skins. When prominent in the wine it is described as grassy or cat urine in Sauvignon Blanc, green bean in Cabernet Sauvignon and bell pepper in Cabernet Franc. Pyrazines are depleted as the grapes ripen. However as freqently happens in Nature there is always a surplus of pyrazines such that ripe fruit may contain enough of them that it weakens the wine. About three years ago a study was published of a controlled experiment at Cornell that showed that if leaves are removed in the fruit zone at fruit set, the rate of depletion of pyrazines is doubled. The effect is that by harvest time they will be gone. Great news, as we now are able to understand why we had not been getting these flavors in our wines. What started as a prophylactic measure to reduce the downy mildew pressure turned out to help in suppressing powdery mildew, producing nicer flavors in the fruit and eliminating the pyrazines. So I am asking: what else may be there that we have not yet found out? The weather here is never the same, one more time! Therefore no two summers are alike. One Summer our Cabernet Franc will ripen so well that the wine may gravitate to a St Emilion like product. The next Summer may be cool and rainy and it will produce a wine that is more like a Chinon or Bourgueuil. They are both attractive for different reasons. And will be enjoyed with different foods. A lighter Cabernet Franc is the wine of choice if having a fresh locally caught tuna steak. This being a cooler growing region, our fruit reaches physiological maturity at around 21 to 23 brix ( 21% to 23% sugar by weight). Since in general the acids in the fruit drop as the sugar rises, that the fruit ripens at these levels results in preserving good acidity. This means that our wines are very food friendly and that is perhaps the one dominant feature about the quality of Long Island wines. When it comes to quality Long Island wines are today getting established. In the early days when my wife started showing our wines to store owners there were days where she would come home almost in tears because someone would tell her ” What do you mean a wine from Long Island lady? Why don’t you leave I have no time to waste”. There were other days when she would have a huge smile because someone purchased 10 cases. Today our sales representatives visit their accounts to re supply them and taste with them our new releases. It is no longer a question of will they buy but which is running low. And for the longest time as a group we would play victim lamenting that NY is ignoring Long Island and feeling envious of how San Fancisco put Napa on the wine map. That is no longer the case as there are a good number of wineries making a brisk business in New York city. Many restaurants pour Long Island wines by the glass. The new trends for Rosés and for kegs has further augmented volumes of wines shipped to the city. Winery tasting rooms however continue to be their biggest outlets. Several of the smaller wineries do not even attempt to sell to restaurants and wine stores as they sell everything in their tasting rooms. Traffic in the Summer and the Fall is very heavy. Farming out here extends to other vegetables and produce but also to the sea. Peconic Bay oysters and scallops are some of the best match to Chenin Blanc, Sauvignon Blanc and other whites with good acidity. The appeal for all farming output has increased the traffic to the point that some are complaining. We recall that in the 60s and 70s Suffolk county was the poorest in the state of New York. What a change. With the diversity of varieties grown here for so many years, we can begin to determine which varieties do well and which do not. It is easier however to define those that do not do as well as most others. These fall in two groups. On the one hand there are the hot weather grapes such as Nebbiolo, SanGiovese or the Rhone varieties that require more heat to reach levels of ripeness that would justify keeping them. Occasionally we get very warm and drier Summers and we can see them produce better wines. And if climate change is real then their prospects are better in the long term. On the other hand there are thin skinned varieties that do not seem to tolerate our humid weather. We had 2 acres of Zinfandel and the fruit would rot before it would even turn red. We long since ripped it out. Pinot Noir has been in that category as well. However there are those who believe that the original clones planted were inferior and newer clones have been planted that seem to yield higher quality wines. In the middle there is a large number of varieties that do well in the vineyards. Wines that have become associated with Long Island definitely include the Bordeaux varieties Merlot, Cabernet Franc, Cabernet Sauvignon and Sauvignon Blanc. The surprise is that in a good year the Petit Verdot is producing some amazing quality. Chardonnay is perhaps still the largest variety planted here. There are a multitude of clones planted on a multitude of root stocks. There are also many wine making approaches to Chardonnay. And not unlike other regions there are some great ones and some more pedestrian wines made from that grape. That illustrates perhaps one of the reason that we have not yet quite seen a variety emerge as the one for Long Island. I doubt if there was an area with such diversity of clones and rootstock combination as Long Island. We treat all our vines with the same level of care and attention. Yet the clonal differences are quite noticeable, even within the same entity, let alone from one vineyard to another. And if wine making approaches are added in then it is not surprising that in the same year we get a wide diversity of wines from a single variety. Clones not withstanding, what seems to ultimately determine quality is fruit ripeness and cleanliness. Over the years vineyard managers have learned a great deal and that has translated in a constantly improving quality. The industry is maturing. We still have a core group of enthusiast who are obsessed with quality. And they are being rewarded. Even though this has become a rather expensive place to grow wine grapes, our relatively higher prices are not an obstacle to successful sales when the quality is there. This is not quite a rural agricultural area anymore but rather a growing residential sub urban area. This has put pressure on costs, making Long Island perhaps the most expensive viticultural area in the world. Labor is not easy to find. Taxes are high and so is the cost of everything. The industry is too small to justify the local presence of suppliers and contractors. Most goods and some services have to be acquired from larger viticultural areas such as California nurseries for vines or importing bottles from Mexico or Europe. All that translates into more expensive wines. Yet the consumer is not deterred. With such visible and measurable success there is now the beginning of a generational shift. Vineyards are now beginning to be replanted using latest technologies such as laser plantings and the newer Entav/Inra clones and those root stocks that have been successful over the years. Better equipment is being acquired and more well trained vineyard and winery professionals are taking over. While the quality is already high it is going to get higher. Economically wineries are now mostly operating in the black and the cash drain of the 80s and the 90s seem to have been stopped. Other wineries have figured that there is good money to be made in focusing on what we have come to call “agritainment”. They have ongoing events to entertain the crowds with music, beer and other attractions and their banks are quite happy. What is at risk here is that this may be such a rewarding cash business that the pressure to work on quality may ease. The tension is palpable as those who seek quality are concerned that the image may suffer. Yet nature is at times very generous. In a year like 2010 when weather conditions were text book perfect, everyone made excellent wines as the ripeness and fruit cleanliness were universally at the highest levels seen since grapes were planted here. Not every year is like 2010. However we have had many recently that have come close. And in the end it is mother Nature that is going to dictate the outcome. Strange as this may seem, and reflecting on the many warmer vintages since 2000, we may be an area that will be benefiting from climate change. We look to even better wines down the road.